CASTLE is sort of the only thing I watch on regular Television. 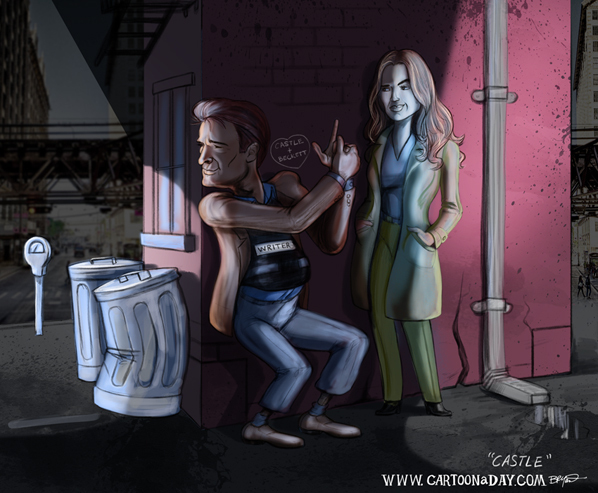 Here’s a doodle of Richard Castle ( Nathan Fillion) and Kate Beckett (Stana Katic) doing what they do best. 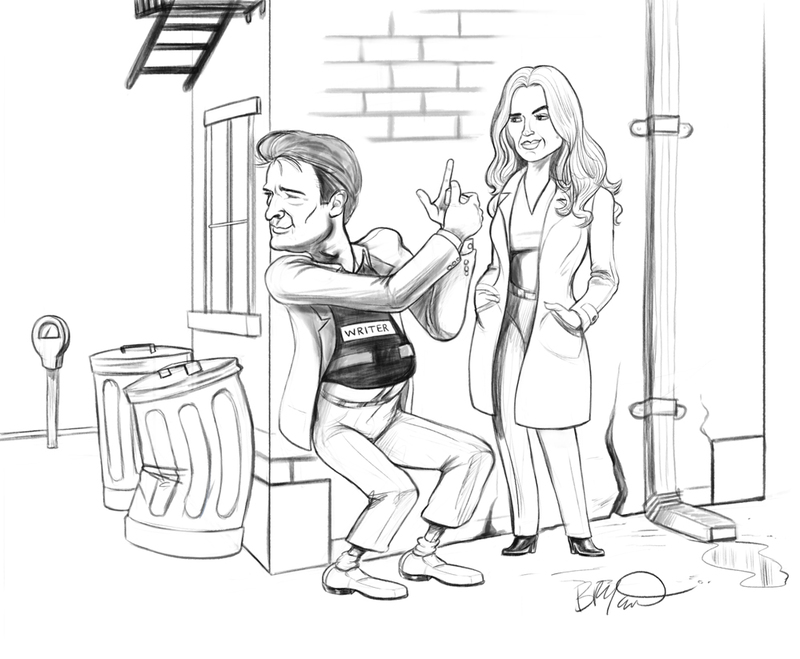 And below is the underlying sketch of the Nathan Fillion Caricature.